To learn about auto shipping to Brazil through A1 Overseas International, fill out the form or call us at 1-800-450-5319! Get a FREE quote! Through international auto transport services provided by A1 Overseas International, your vehicle can safely arrive in Brazil. Of course, there will be requirements demanded by Customs, but any international shipping company with years of experience is usually keen on the stipulations for auto import to the country. With Brazil being a widely popular country, many U.S. citizens frequent there for either vacation or even permanent stay. By having a vehicle brought over, they can freely travel the beauty of the country without any hesitation or struggle. Public transport in a foreign country is often to hard to understand and use when language and currency cause limitations. After picking what services and features are best for your needs in regards to shipping your vehicle to Brazil, it is time to start preparing for the big day. 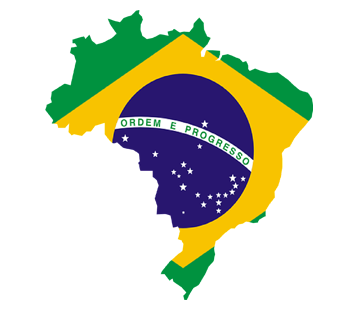 Not only will you have to contact Brazil Customs for the up to date requirements on vehicle import and export, but you will need to get the car ready. This entails washing it and removing all items that weren’t manufactured with the vehicle. The fluids and tire pressure must also be checked, while the fuel tank shouldn’t read above ¼ full. Batteries and alarms will need to be disabled. RO/RO shipping methods require the automobile to be completely empty with the exception of floor mats, a spare tire and a car jack. Container shipping methods allow belongings to be in the vehicle at the time of transport as long as they are in compliance to Brazil’s import laws. Call 1-800-450-5319 to discuss your upcoming shipment or fill out our form for a FREE price quote on boat, motorcycle and car shipping!